The sun is shining, the sky is blue... but whats missing? A gorgeous Madcap England Summer dress, of course! It's that time of year to wear bold, vibrant and colourful dresses. 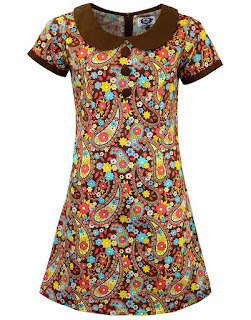 With a range of stunning Retro psychedelic and daring prints, there is a Madcap England dress for you! 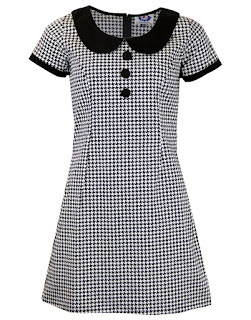 The 'Dollierocker' dresses are a classic from Madcap England. With a Mod Peter Pan collar and three covered button detailing, colour block trim to sleeves its perfect for Summer! 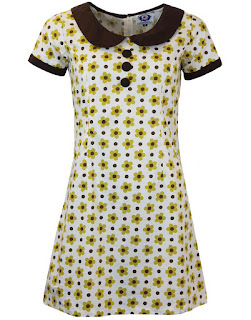 Featuring a cute floral print in yellow surrounded by a 60s polka dot design. In a lovely white, yellow and brown colour way its sure to add a fresh Retro vibe to your Summer! Featuring a Retro Psychedelic wavy lines and abstract Mod Target pattern throughout. In a stunning black, red and white its a perfect dress from day to night! Featuring a Retro Psychedelic wavy lines and abstract Mid Target pattern throughout. In a stunning black and white it's a gorgeous dress for Summer! 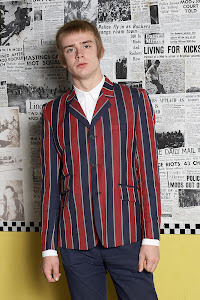 Featuring a all over Retro dogtooth print its brimming with that Sixties Psychedelia influence. 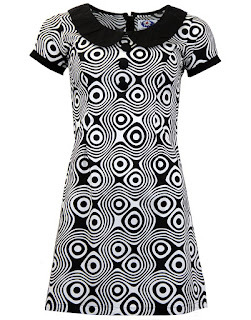 In a classic black and white, its sure to add Mod style to your outfit this Summer! 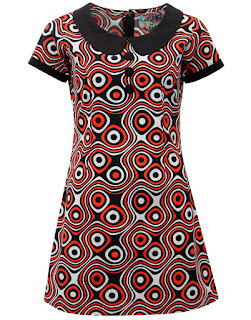 Featuring a striking polka dot design throughout it definitely adds a sense of 60s Pop Art chic. 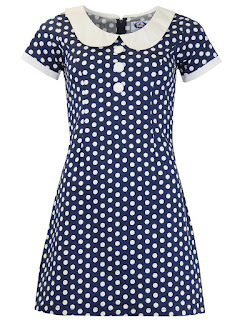 In a cute navy and white colour way, the polka dot print sure stands out! Featuring a striking polka dot design throughout it definitely adds a sense of 60s Pop Art chic. 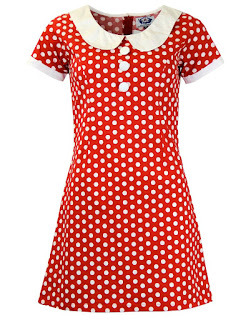 In a cute red and white colour way, the polka dot print sure stands out! Monotone psychedelic Sixties floral design for a cool Summer of Love vibe it adds a hint of Retro Pop Art influences. 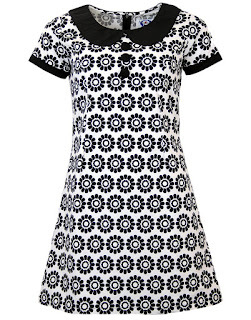 In a classic black and white colour way, the daisy print is sure to turn heads! The psychedelic paisley print looks stunning with a definite Sixties vibe. In an array of fantastic colours such as brown, pink and yellow its a great way to add a splash of colour to your Summer wardrobe! An abundance of Mod Targets create an eye catching pattern. 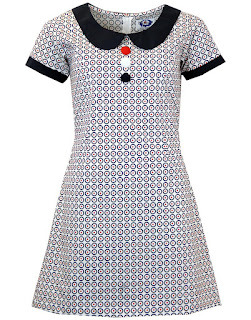 Using the classic print in white, navy and red it is a must have for your Mod dress collection! Madcap England 'Mavers' Is Back In A New Colour!